Schools, Sports Teams, and Local Businesses Make a Big Impact! Nothing shows more goodwill than when a group gets behind a cause together! Think you can get your entire sports team, Principal, yoga studio or even your Mayor to #Dare2Tutu? It’s easy to get an entire organization involved! Motivate your friends, family, and co-workers to join the #Dare2Tutu movement by asking them to take pictures and donate to your personalized or group fundraising page. 1. The Team Lead SETS UP a fundraiser page. After your campaign is set up, you’ll see a tab for “Manage Team”. Anyone you invite will be added under your team fundraiser page. 2. Buy a tutu from us, a local store, or make one! Bulk pricing for orders of five or more. 3. Have fun! Take pictures, share them and ask your friends and family to donate. 4. Share your pictures with and we’ll feature your campaign. Just tag us on social media. Bloomingdale’s is the Major Supporter of The Carey Foundation. Throughout October, a portion of sales are donated to select breast cancer organizations. We still pinch ourselves every time we see Bob’s Ballerina on the most beautiful checkered floor in the world. 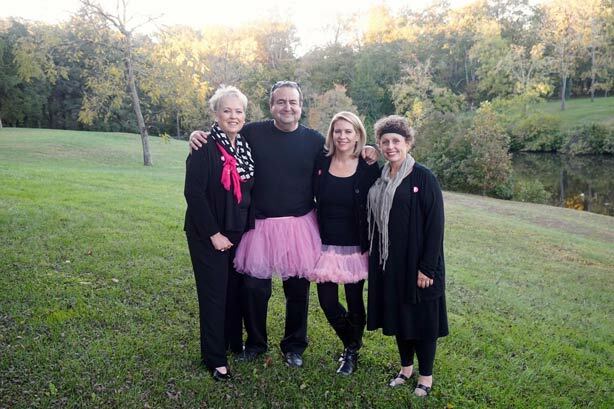 In 2015, a #Dare2Tutu yoga class was also held in honor of women with breast cancer. Bloomingdales has donated six figures over the last two years to our foundation. No words are ever enough to express our gratitude to philanthropist Anne Keating and her staff. 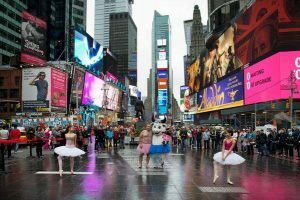 “The Tutu Project has had an incredible and positive impact through their imagery, book and fundraising efforts,” said Jamie Walker, Jet Linx President. and CEO. 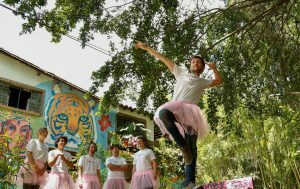 “We were delighted to find unique ways to support their continuing development through our magazine and in our private terminals this year – and to offer a one-of-a-kind setting for the creation of a one-of-a-kind Tutu Project image!” Pilots, families, and even pets “Dared 2 Tutu”. 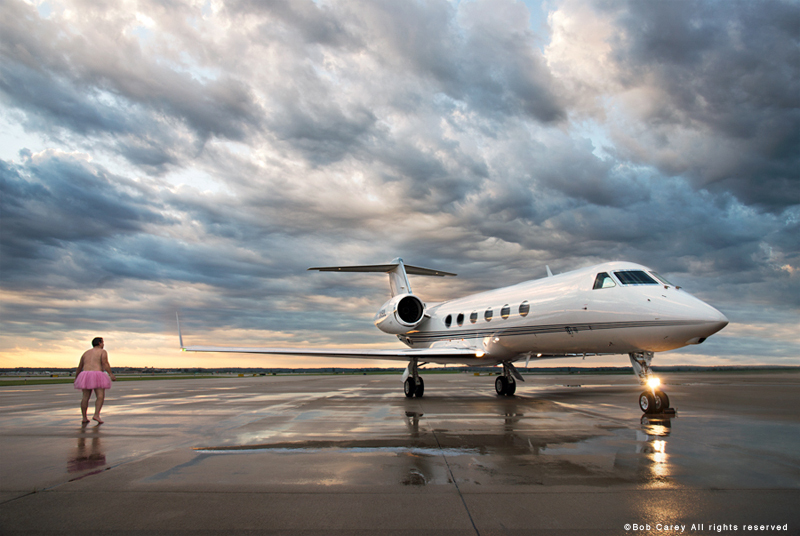 The images were inspirational, and Jetlinx raised over $15,000 for our breast cancer foundation in 2015. BrandBrief helps cause-based organizations utilize modern marketing tools to mobilize real-time passion on social media. Causes create a ‘Campaign Brief’ and invite influencers to create and share content with their large audiences. Influencers actively participate in the campaign by ‘donating posts’ for the cause to raise awareness and engagement through the BrandBrief mobile app. 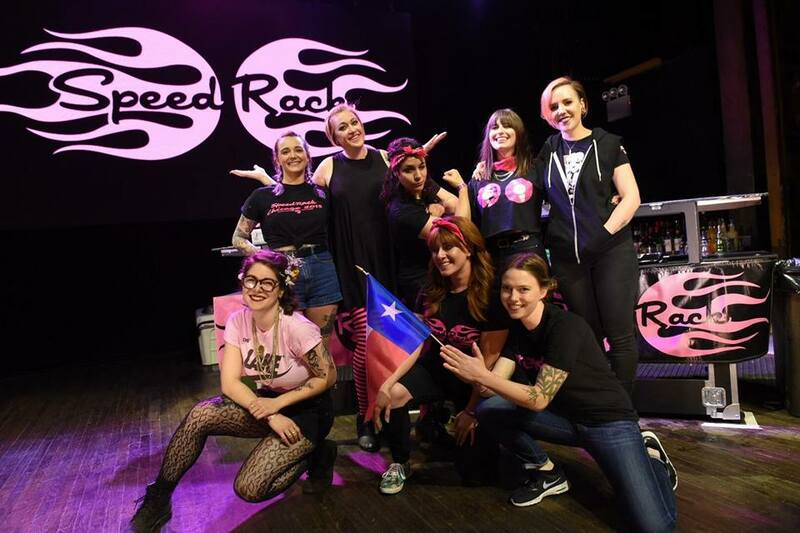 Speed Rack, the all-female bartending competition and breast cancer charity has raised over $160,000 for breast cancer charities since it’s inception. We are so proud to be one of their recipients. Why did they choose us? “He’s a grown man in a tutu, prancing around in the name of cancer,” she said. “I love that! Others might take offence, but I’m sure he’s doing more good than those who sit around being morose about things.” – Yvy Mix, Founder. The Girls of Real Estate 10th Anniversary Breast Cancer Event was a huge success. Bob & Linda attended the event, held at Poplar Springs Inn Spa and Manor House Restaurant in Warrenton, VA, Over 70 attendees and contributors raised a little over their projected goal of $10,000 – $10,615! This was their fourth year supporting the Tutu Project’s mission to provide financial support to women and families battling breast cancer. The Udderly SMooth® mascot and its entire family have been supporting our breast cancer fundraisers for over two years. A custom tutu was made so that the mascot could support our #Dare2Tutu initiative. In addition to fundraising, the Udderly team donates in-kind gifts for our events and other fundraisers. The team at Publicize are “Changing the way startups approach PR”, and we have to concur – they are very serious about it – except when wearing tutus! 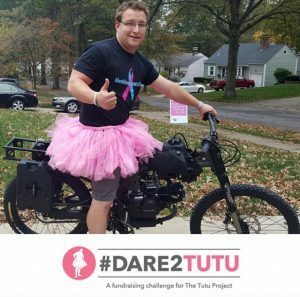 Not only has Publicize taken on The Tutu Project as a PR client, but they are also embracing the “Dare2Tutu” challenge across the entire organization. This October, they plan to dare their entire community, and we expect nothing but success from this team! STAY TUNED! WE ARE ANNOUNCING MORE PARTNERSHIPS SOON!